There is some business jargon that you can not escape, no matter how many ear plugs you shove in your ears. The word of the day is: OPTIMIZE! We recently covered the basics of setting up a Bing Shopping campaign and now we want to explore the opportunities to learn more about your campaigns and improve overall efficiency. Specifically, we are going to cover 7 areas of fine tuning that can help your Bing Shopping campaign dominate the marketplace. Applying specific, custom labels to your product groups will allow you to subdivide your account into segments and make more efficient strategic adjustments across multiple products. There is nothing particularly groundbreaking with custom labels, but in a recent conversation with our friends at Bing, it seems that many people are not using labels to their full potential. Depending on your products, you could segment by geography, price range, popularity/demand, profit margin, inventory and seasonality. Here is an example for the fictional Hanapin Sock Co.
With your new custom labels, you can efficiently apply bid adjustments as the market or supply dictates and have these rules apply to multiple products. For instance, perhaps you are using a temporary bid increase for regions where the weather is still cold to help push the sales of the Betty White Special Edition Wooley Knee High Socks. It is critical to have a fully functioning product feed, in order to keep ads running and give Bing the best chance of using your entire inventory in Shopping auctions. Revenue is lost when your product does not show in the search results, or appears with inaccurate information. Additionally, there are some fields that are not required, but highly recommended to increase the volume of information about your products. Thus, increasing the relevancy of your products in the shopping auction, improving the likelihood of appearing and showing multiple products. The last commonly missed opportunity in Bing Shopping is to set a priority level for each campaign. This will help in scenarios where you have multiple products that could be up for similar shopping auctions, but you want to promote your high margin goods first. Or you want to burn through your misguided Nicholas Cage Commemorative Stocking inventory as soon as possible. Priority levels will also override the overall campaign bid, so even if you have a higher bid for a low priority product that you sell consistently, the nightmarish Nicholas Cage leggings with a lower bid, but higher priority level, will be deemed eligible. Do my product images stand out? Is the resolution the highest it can possibly be? Is the color helping my product catch the viewer’s eye? If you removed all the text, which image is the most appealing? Are there images that are more dynamic because the product in the image is in use, on a model to show scale? In the example below, I was looking for a Star Trek shirt because I would like to go boldly, in style, where no one has gone before. The 3rd and 4th images are bright, but it is hard to tell that the shirts are Star Trek related, and indeed have tiny Starfleet insignias. The 2nd image shows an actual model to illustrate fit and size, but the 1st image is cropped to highlight just the product for sale. This example emphasizes how important images are to the sales decision process and how the same image rules do not not apply to all industries. An often underutilized resource is the title and description fields of your Shopping feed. Your ads have an increased probability of turning into a sale if they include informative words in the title and description, such as size, color, material, brand name, product type, product names, gender, etc. 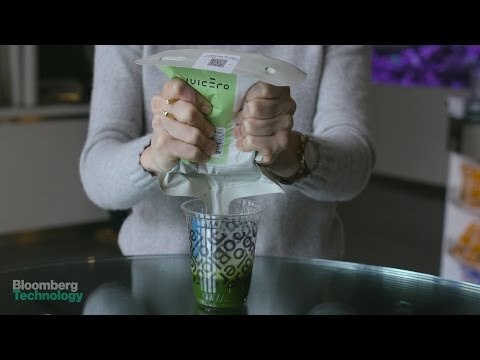 For example, the infamous Juicero description should include size (large or small), color (red or white), brand name (Juicero), product type (wifi enabled, cold press juicer) and product names (The Juicero Luxury Press). This tactic will also help you in situations where you are showing multiple products in the same auction, so your customer can get to the ideal product faster. Additionally, even if the full description information is not visible on the search results page, these fields are used to decide which products are most relevant. An advanced tip is to make sure you review your search query reports for possible new description terms or ways to make your titles even more applicable to the consumer. If you commit to tackling each of these advanced optimization opportunities, you can develop a stronger Shopping campaign and see improvements in sales revenue. Assuming, of course, that you are not selling a $400 wifi juicer that can easily be replaced by free and readily available human hands.